Dansko is a Partner and Level 4 member of the Sustainable Business Network of Philadelphia (SBN), a network of companies dedicated to responsible and sustainable business practices. Through SBN, Dansko partners with area businesses to support and challenge the greater business community to build profitable enterprises that also address community and environmental responsibility. By cultivating sustainable models for business operations, the SBN works to expand the focus of business to address not only prosperity, but also serve the needs of people and the planet. In 2010, Dansko proudly accepted the SBN "Triple Bottom Line Award". This award recognized Dansko for living our commitment to sustainability through our business practices. Dansko is a Silver Supporting member of the Delaware Valley chapter of United States Green Building Council (USGBC) a community of businesses and organizations working to advance a healthier, more sustainable and prosperous built environment in communities across the globe. Through their Leadership in Energy and Environmental Design or LEED® program, the USGBC of Delaware Valley provides a framework and guidelines to help design, build and operate green buildings. In addition to reducing energy consumption, green buildings also provide a healthy work space for their inhabitants. LEED® certification is based on a point system for the overall building project. Bronze, Silver, Gold and Platinum LEED® awards are based on the total overall points a building receives for its design, construction and continued operations. Visit the Our Home section of our website and join Dansko co-founder and green building champion, Peter Kjellerup, on a tour of our Gold LEED® certified headquarters in West Grove, PA. In 1990, Dansko proudly joined other members of the footwear industry in support of the Two Ten Foundation. Started during the Great Depression, The Two Ten Foundation offers a variety of assistance to all those who are a part of the ever growing footwear industry family. Financial assistance and crisis counseling after a natural disaster or life event are just a few of the ways in which the Foundation offers help and assistance. Scholarships from the Foundation help fund the continuing education of those in the footwear industry as well as children of footwear family members. Since 1969, Two Ten has awarded over $16 million in scholarships, strengthening both individuals and the footwear industry as a whole. 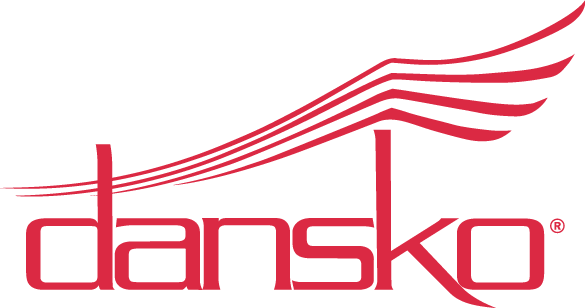 Over the years, several Dansko executives have served on the Two Ten Board of Directors. Today, Mandy Cabot, Dansko CEO and Co-founder is a member of Foundation's Board of Directors. In 2013, The Two Ten Foundation presented Mandy with the T. Kenyon Holly Memorial Award, the Foundation's highest honor for outstanding humanitarian achievement. It was presented to Mandy for her charitable, civic and public service to her community and nation. Dansko is a proud supporter of the American Sustainable Business Council (ASBC), a group dedicated to advancing public policies and support for a vibrant, just and sustainable economy. Through education, advocacy and public information campaigns, ASBC influences decision makers to address the needs of the large and growing universe of socially responsible businesses and social enterprises. They do this in two ways. First, they research and communicate to businesses, policy makers, and the media how a sustainable economy based on broad prosperity is good for business and good for America. Second, they provide a platform that enables businesses and business associations to engage executives, owners, investors, entrepreneurs, and other business professionals in the public debate. The Council spans a growing network of over 60 business associations across the United States, representing over 165,000 businesses and 300,000 business executives, owners, investors, and others.